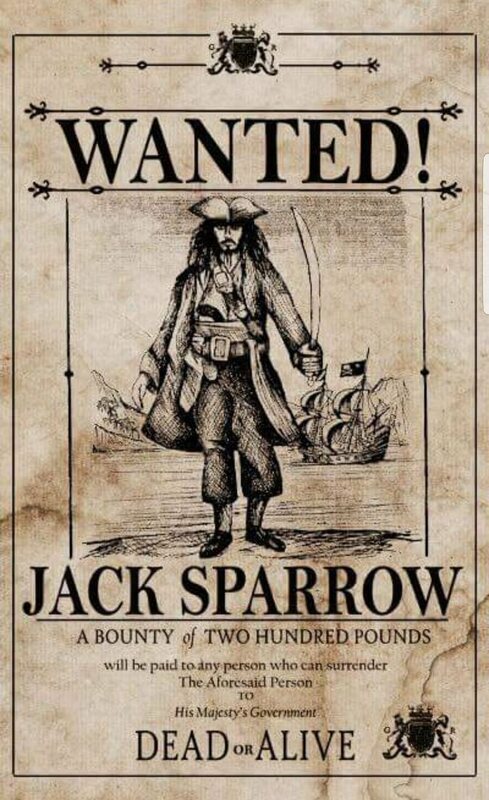 I don’t think, there is any kid who was not a fan of Jack Sparrow. He was so cool that my new dream was to become a pirate. The movie was a super hit among all the kids and even adults. 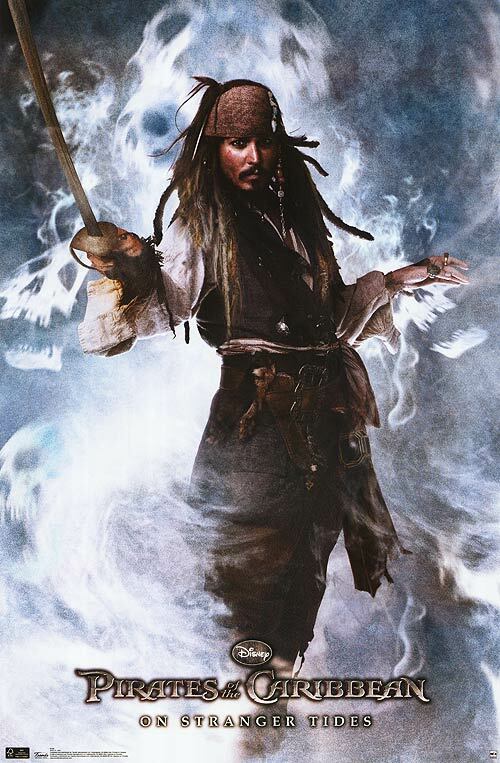 And the only reason was, you know who, one and only, Captain Jack Sparrow. I don’t think you need be told about the movie series. 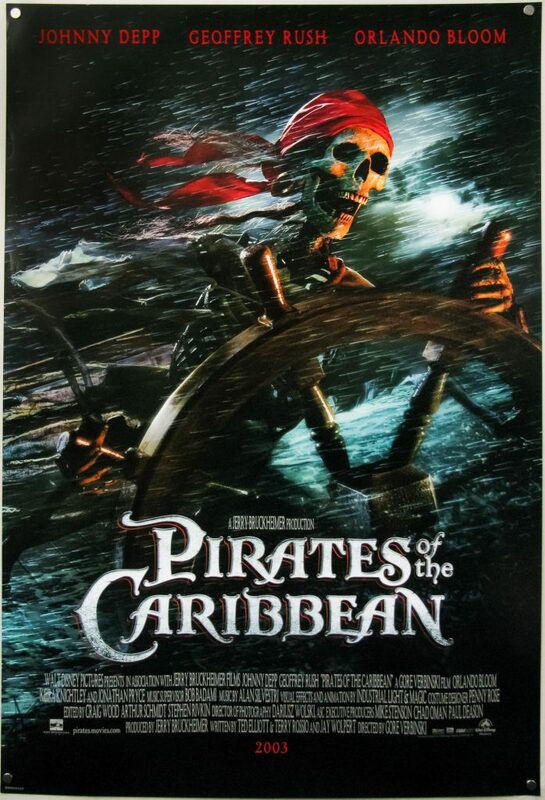 So let’s start this awesome post of Pirates Of The Caribbean Poster Collection. 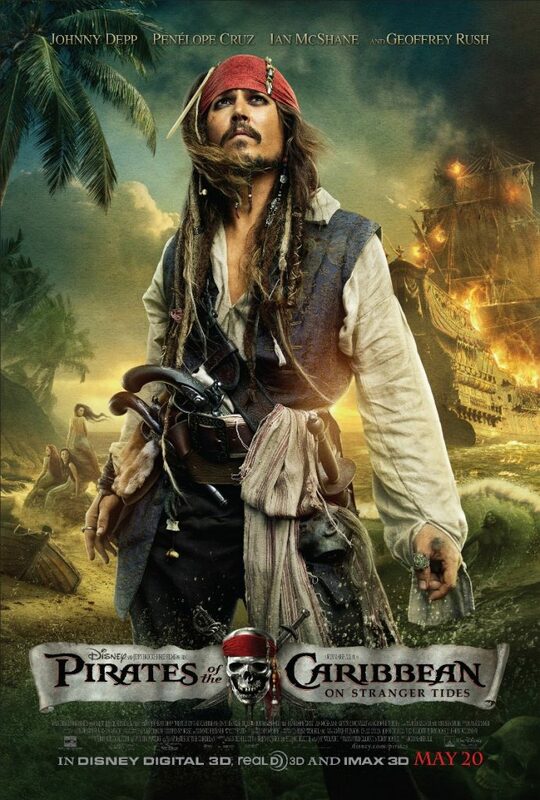 Let’s sail to the Caribbean and meet Captain Jack Sparrow. 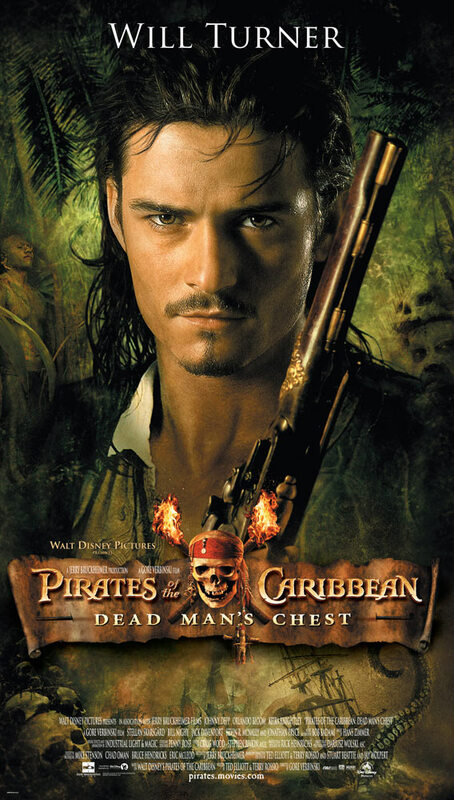 Orlando Bloom as William “Will” Turner Jr. The first movie was released on the 3rd of July, 2003. It really was awesome to watch it. And it got a rating from Rotten Tomatoes too. The movie earned more than $650 million on a budget of $140 million. Though it’s not a big deal for a movie, even it is very less than I expected, but they knew a big ship full of money is coming towards them. 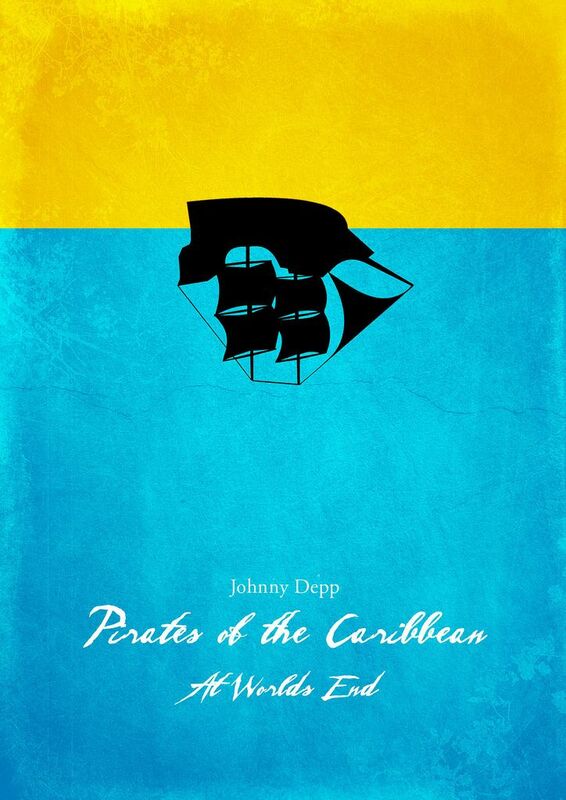 The whole story of the movie takes place between 1720 to 1750, according to the writers of the movie. It is so common that people make movies based on books, novels, or stories. But I’m very proud to say that, books can also be inspired by movies. 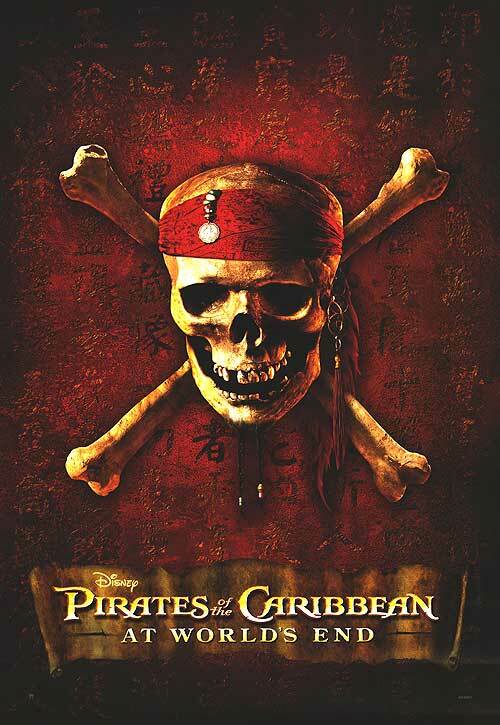 The first novel written by Rob Kidd was published in 2006 titled “Jack Sparrow: The Coming Storm”. 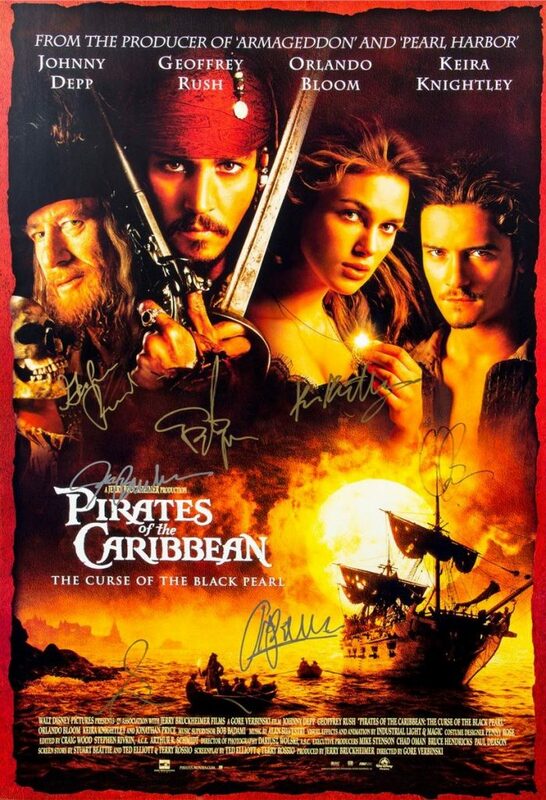 Kiera Knightly, who played Elizabeth Swann was just 17 years old when she got the role in the movie. I’m 19 and even my own family members crop me out from their selfies and post them with the caption “Happy Birthday” on my birthday! 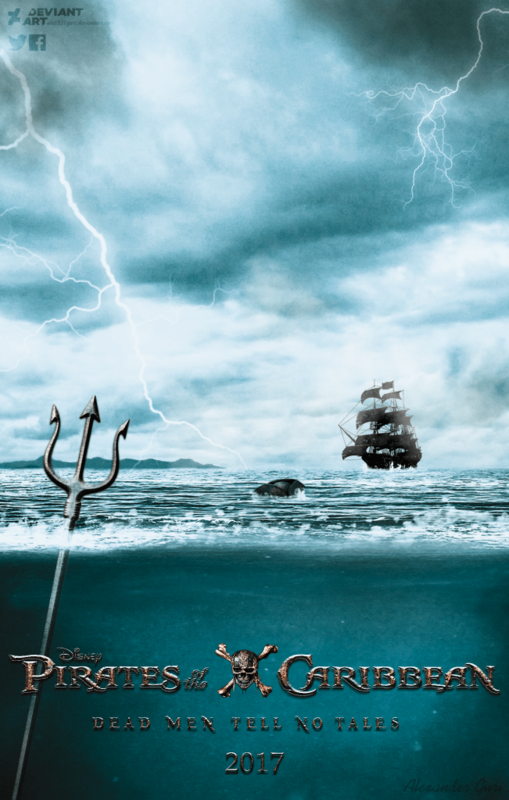 Jack Sparrow got his name when he trapped a pirate hunter in Devil’s Triangle at a very young age. 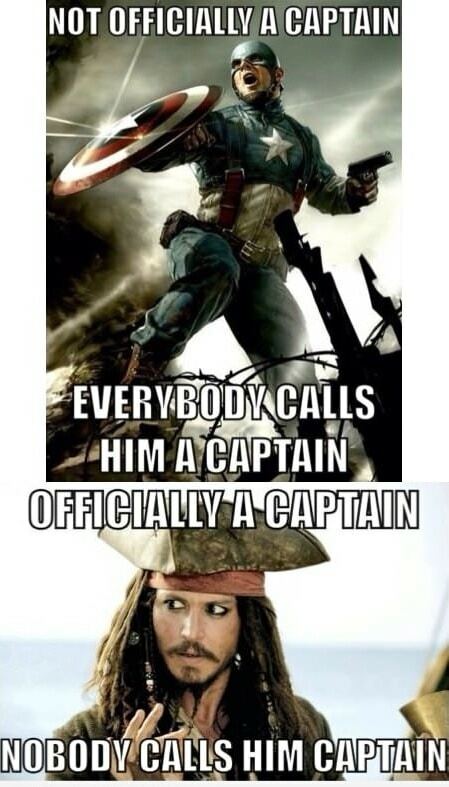 He is now an infamous pirate. 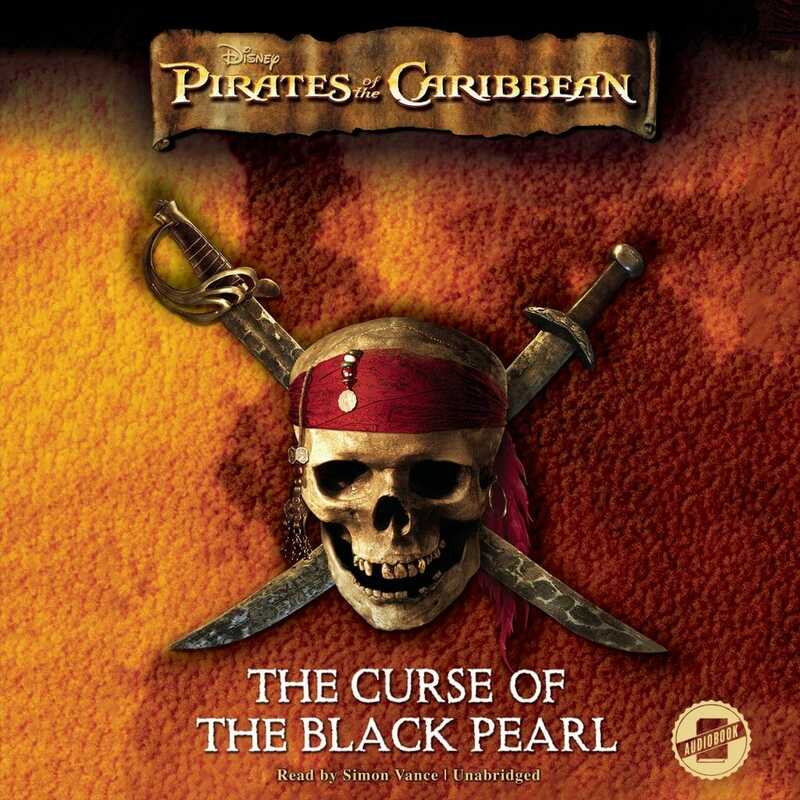 Though not told in the movie, he had saved the world before “The Curse Of Black Pearl” events took place, which is told in the book. Captain had a very humble beginning. He was just a worker for East India Company and he saved many slaves and caught doing that, for which the ship “Wrecked Wrench”, which he was responsible for and in love with, was burnt along with him. Captain was then somehow got alive but at a very costly price. 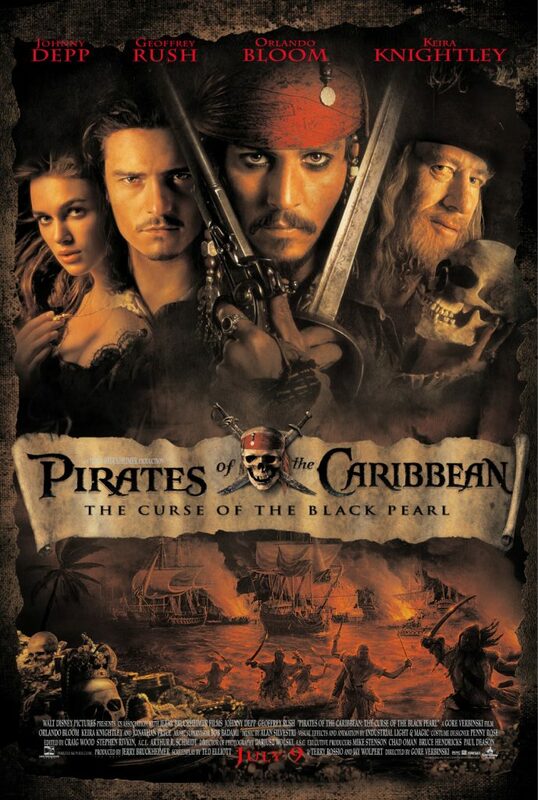 Barbossa, AKA, Hector Barbossa, portrayed by Geoffrey Rush, was once just another crew member for Jack Sparrow, but later he was betrayed by Barbossa, and Barbossa was the owner of the Black Pearl now. 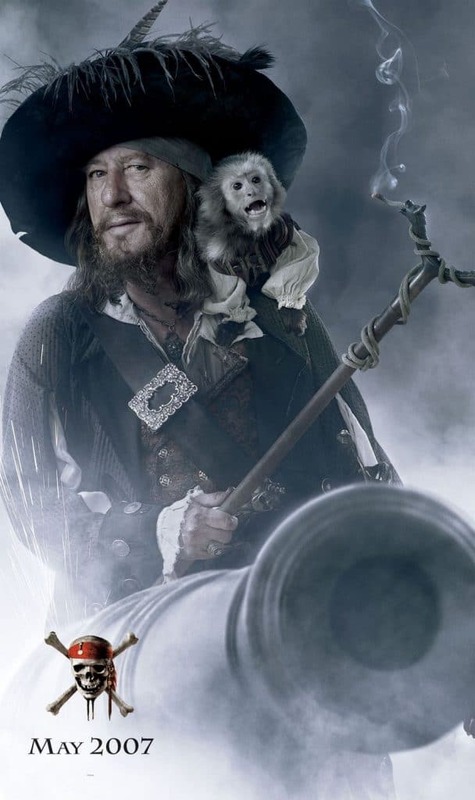 Barbossa had a monkey which is also named Jack. 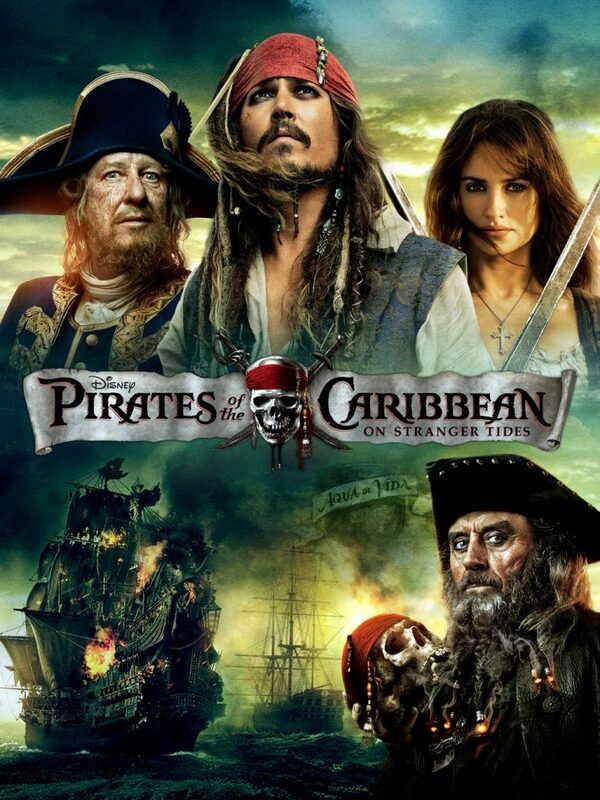 While making the movie, makers were planning to name it just “Pirates of the Caribbean”, but they didn’t, in a hope that the movie will be a successful one. Stellan Skarsgård as William “Bootstrap Bill” Turner Sr. 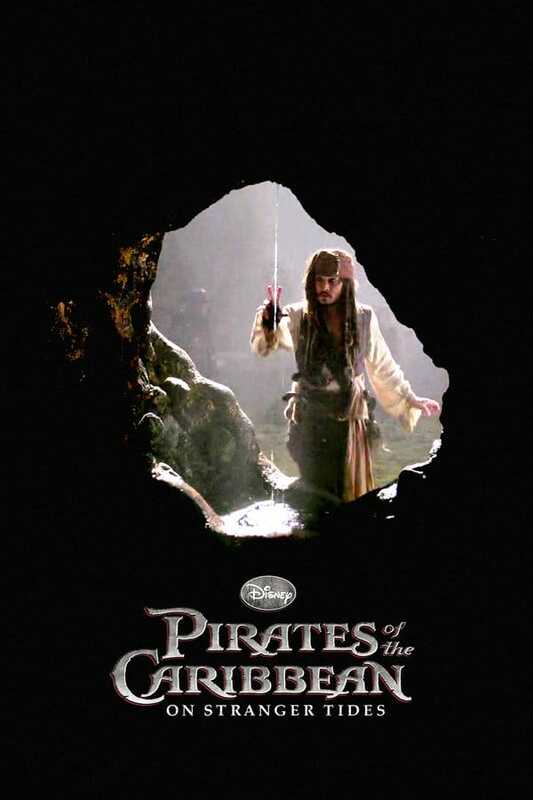 The sequel was released on July 7, 2006. It was a big hit all over the world. The movie earned more than a billion dollars on a budget of around $225 million. The movie continues where it ended. Swann and Turner are getting married. But life always has another plan. So, don’t expect them to marry so soon. 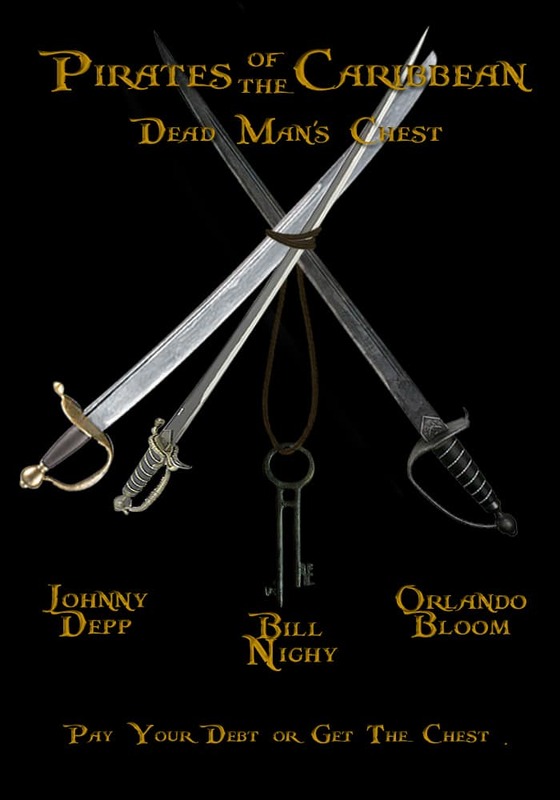 Will Turner is the only son of his father, Bill Turner, whom he was in search of. He was a blacksmith by profession. Also, he loves Elizabeth and met her when they both were young, even, she has saved his life when they first met. This part has a new interesting character with a good backstory. 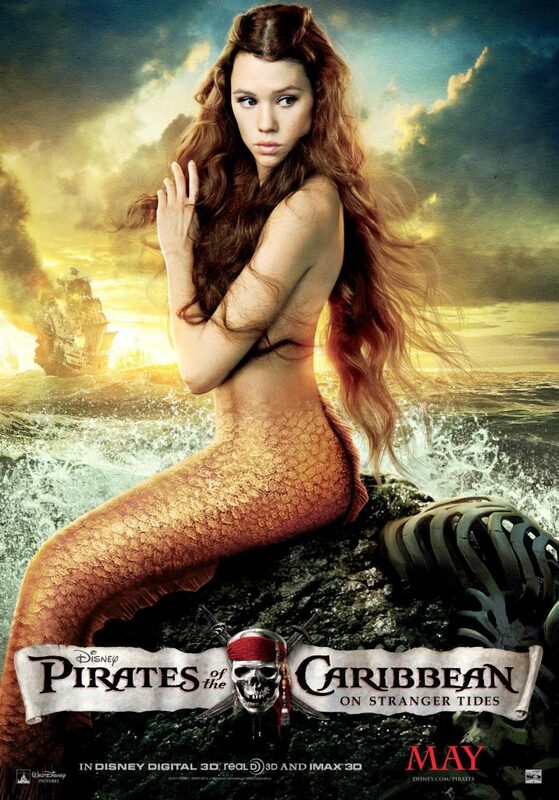 Davy Jones was the supernatural ruler of seven seas as well as the lover of sea goddess Calypso. 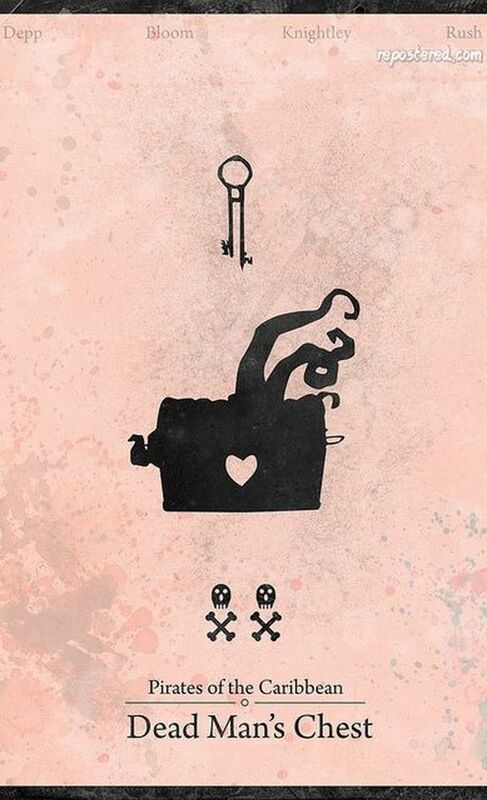 And then you know, lover things, his heart was broken too, but unlike other lovers, who post sad quotes on their social media accounts after break up, he took his heart out and locked it in a box, whose key always remains with him. 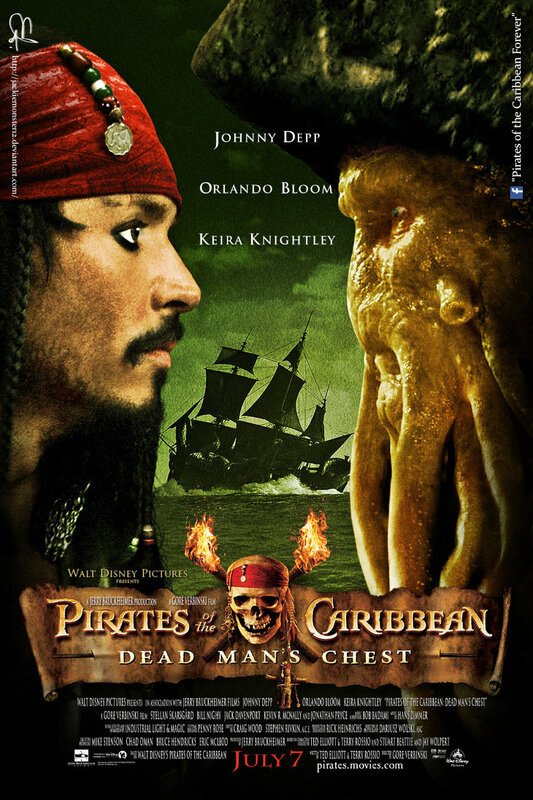 Davy Jones is a great sailor of all time and his ship is called Flying Dutchman. 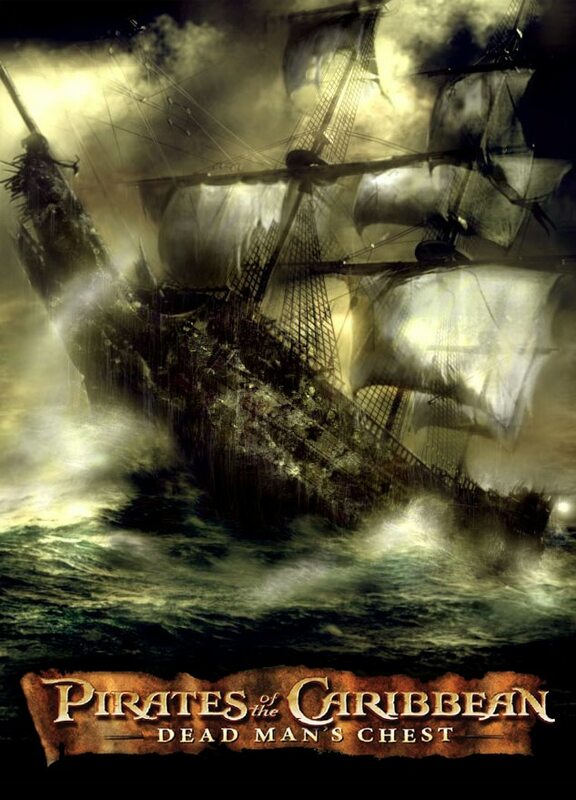 Flying Dutchman is not a normal ship, it’s a supernatural ghost ship, which was once responsible for ferrying the poor souls, died at sea, to the afterlife. 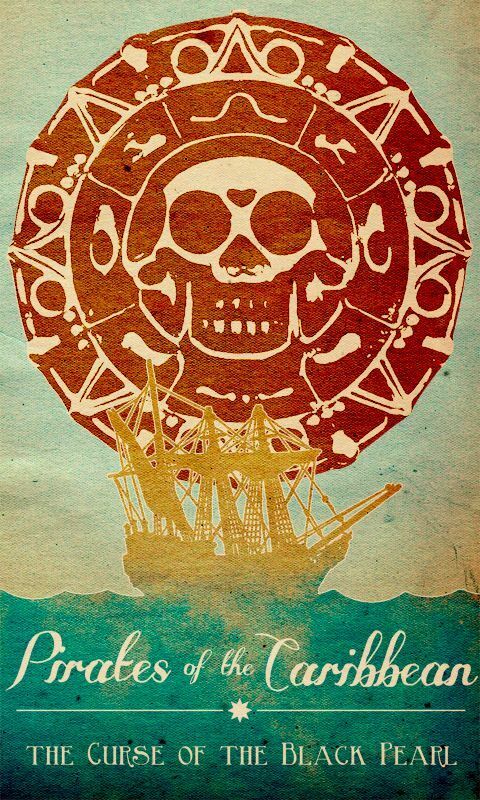 But now, it is most feared ship by all around the seven seas. 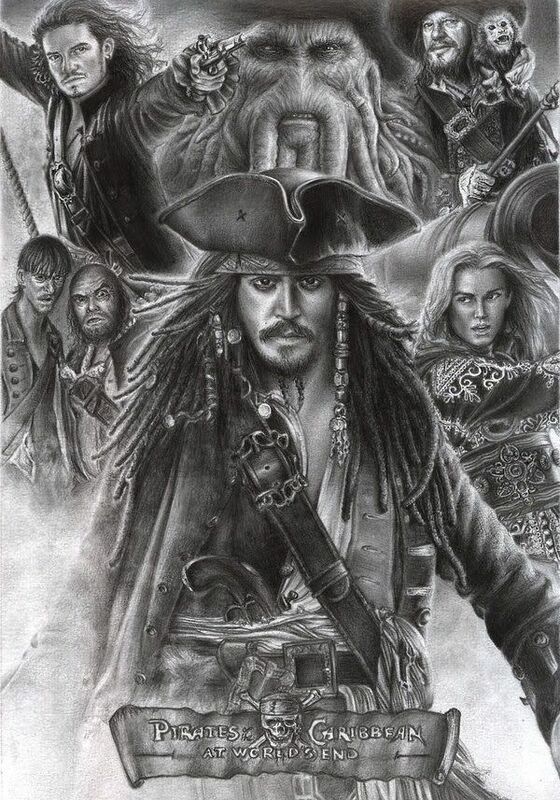 Jack Sparrow’s ship Wicked Wrench was being burnt along with him, and Davy Jones helped him in of a deal that he will be his slave for 100 years after 13 years of the captaincy of that ship. 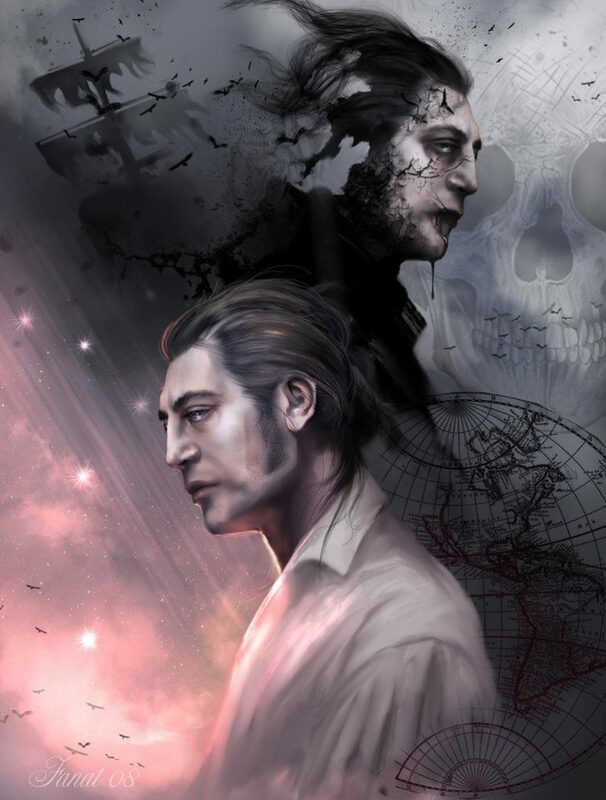 So, Jack has a debt of Davy on his head. 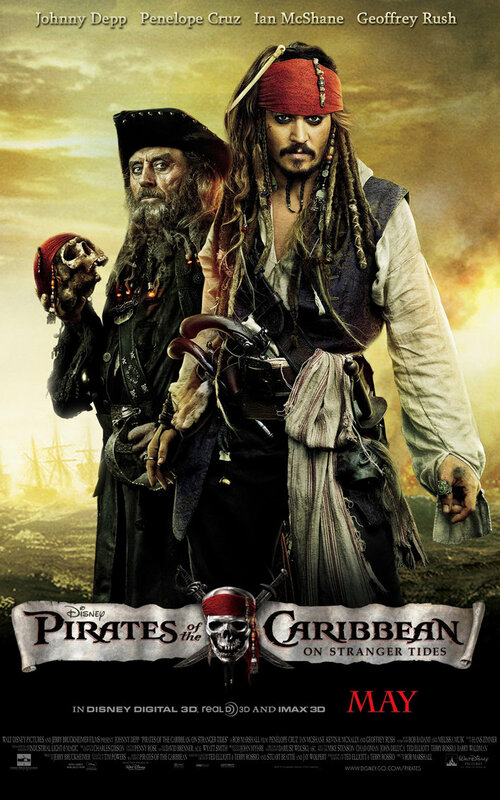 Jack Sparrow is not a great commander, but a great trickster. So, his crew member thought that they should not let him remain the captain of the ship. 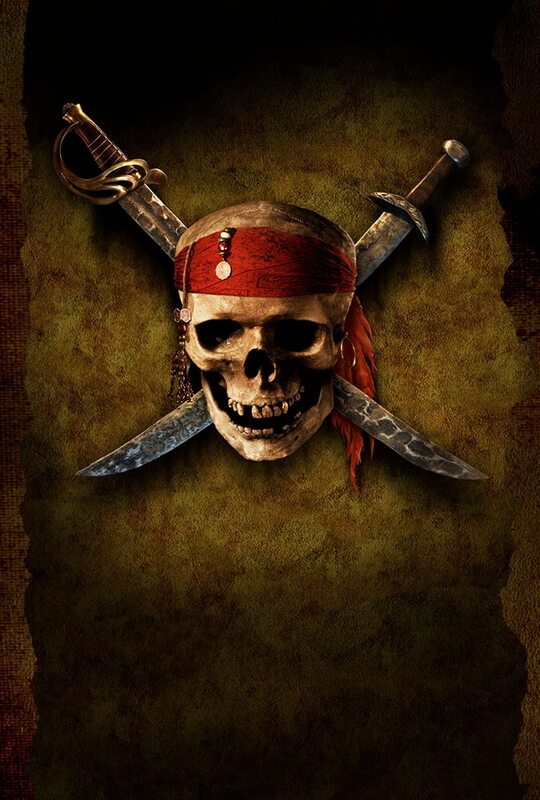 Barbossa planned to betray him but another crew member, Bill Turner thought they are doing wrong, so he left his piece of eight with his son Will so that they remain cursed. 9. The Sea Full Of Betrayals! 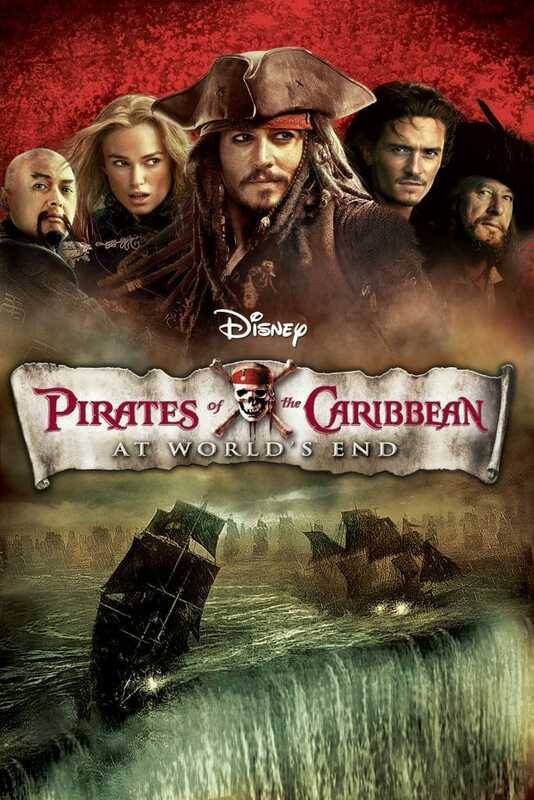 Jack is again betrayed by Elizabeth as she locks him on the ship which is going to be destroyed soon. The series is full of surprises, twists, and turns. So, keep calm and watch the full series. 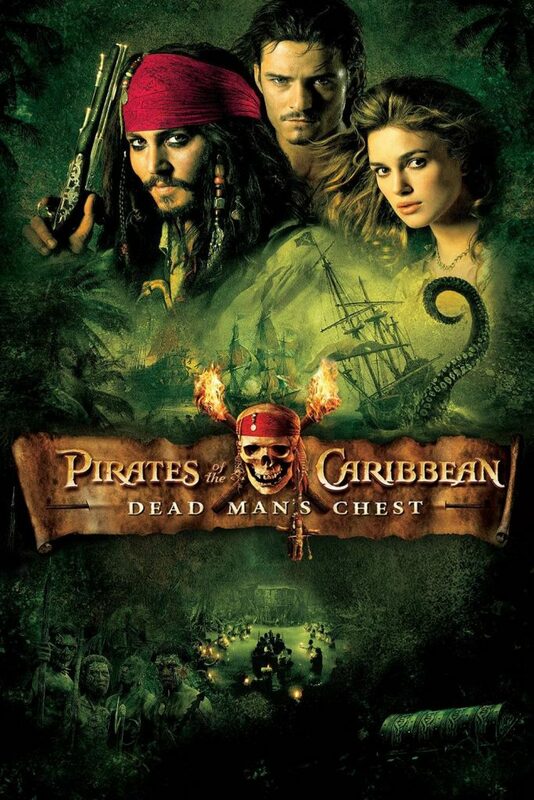 The movie was released on the 25th of May, 2007. It was the first movie I watched from the series, and it is known as the worst of all, but still, it was a new thing for me. Even though the movie got a very low rating from Rotten Tomatoes, but that can’t stop fans from making it a success anyway. The movie bagged more than $900 million on a budget of around $300 million. 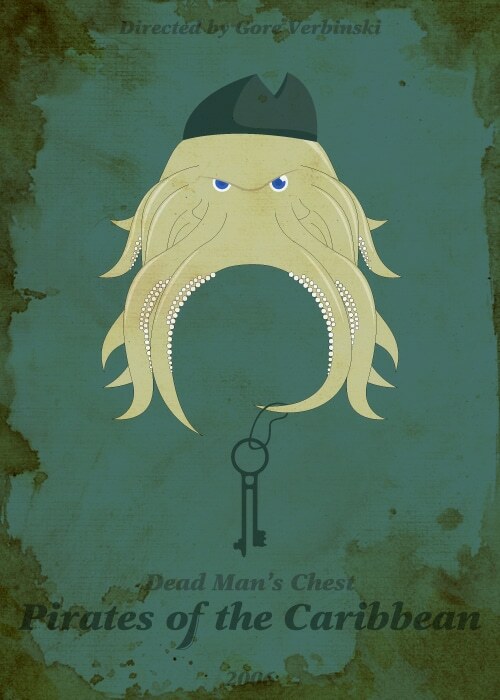 At the end of the Dead Man’s Chest, we saw that Jack was died by the pet octopus of Davy Jones. 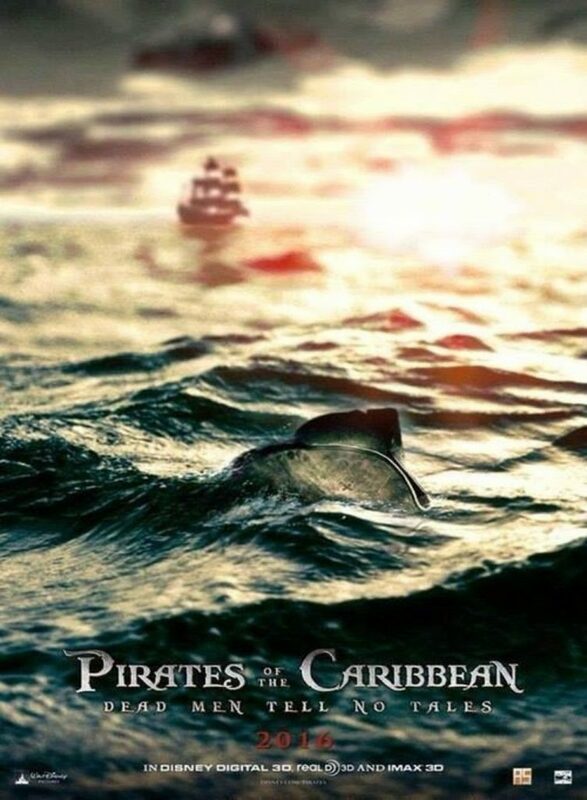 But it would not be a spoiler if we say, he is not died yet, as we all know that POTC series is nothing without the Captain. 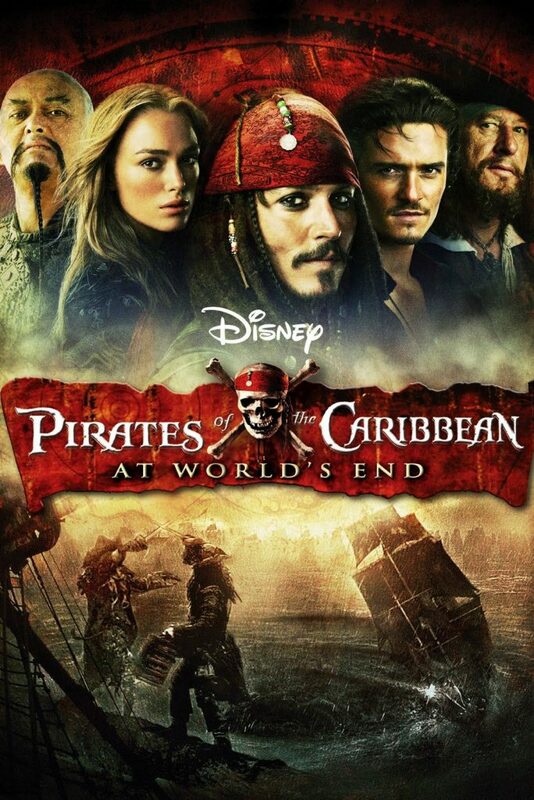 The series is not only an action pirate movie, it’s a great comedy movie too. 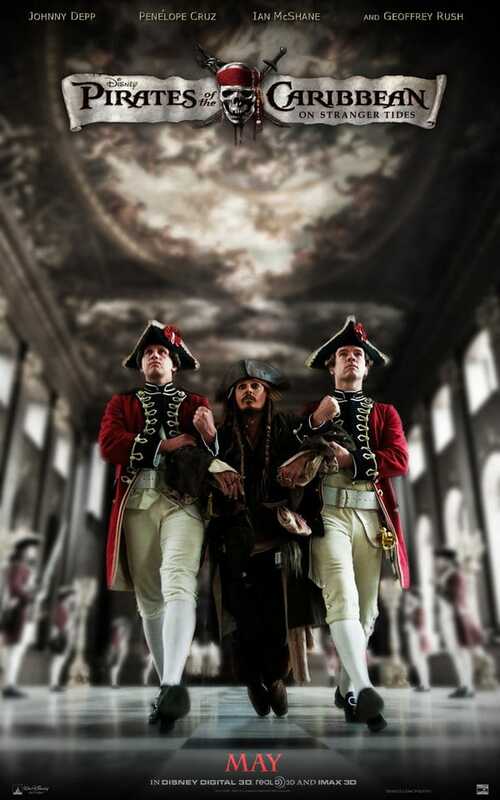 Not only captain Jack Sparrow is cool, his crew members are also great in making us laugh. 5. Trying To Be Cool! Now, when we are talking about being cool, how could we not mention this fact. 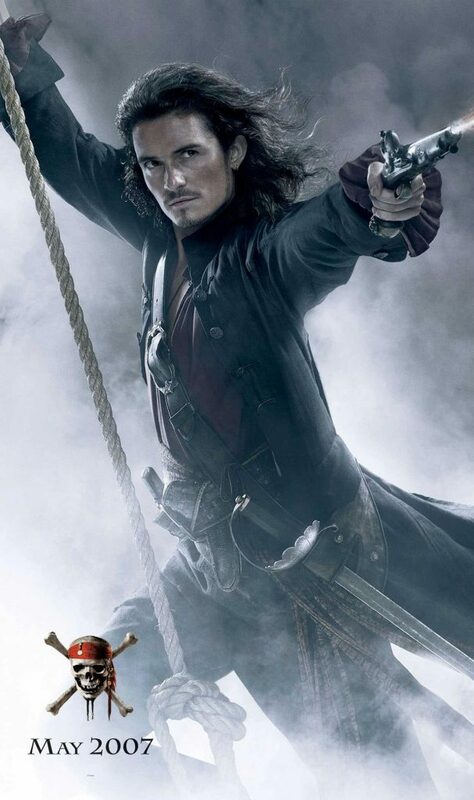 Orlando Bloom (Will Turner) was trying to copy Jonny Depp’s (Jack Sparrow) style, to look cool. But his role was not so “cool”, so he stopped giving it efforts as it was ruining the script. 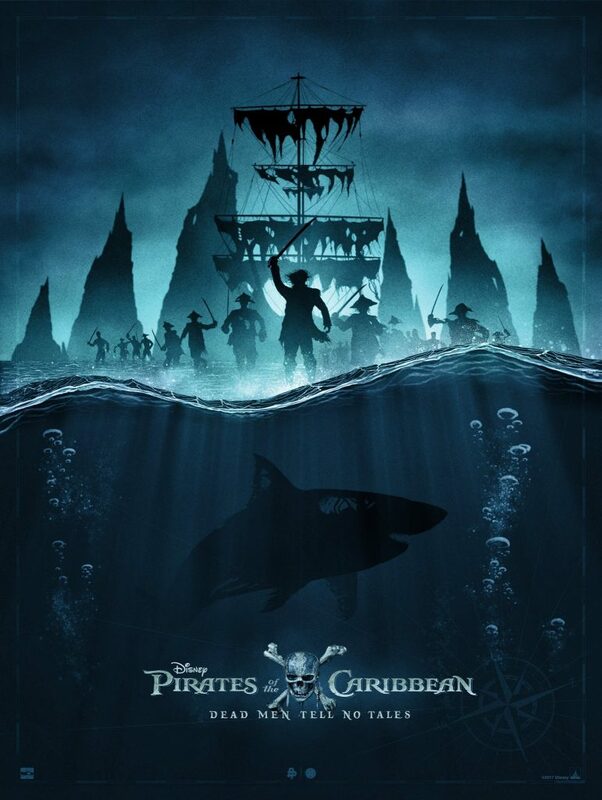 Davy Jones: Haha… Lookie here boys. A lost bird. A lost bird that never learned to fly! 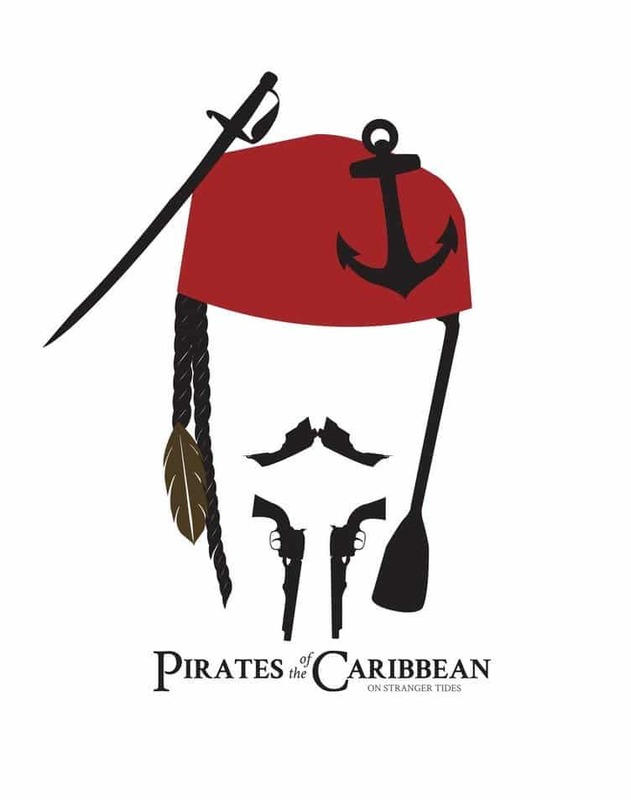 Jack Sparrow: To my great regret. But, it’s never too late to learn! I don’t know why, but when I heard this dialogue for the first time, it seemed so awesome to me. 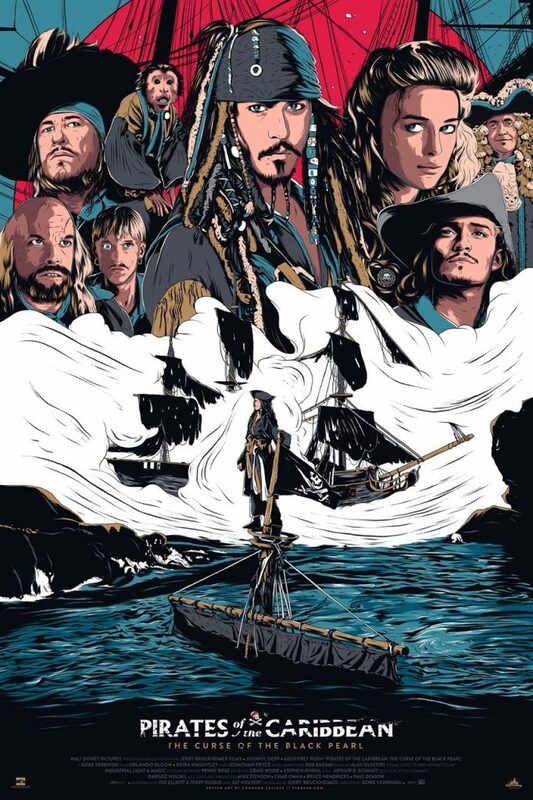 Jack Sparrow is probably the most intelligent pirate in the whole sea and maybe, that is why he is so famous (read it infamous) all over the seven seas. And this was an awesome scene! If you have watched the movie, then at the scene when they make the ship upside down, there was a green flashlight we see after the sun is set. That’s was, of course, a computer effect but that phenomenon is real, but rare and can be seen only at sea. 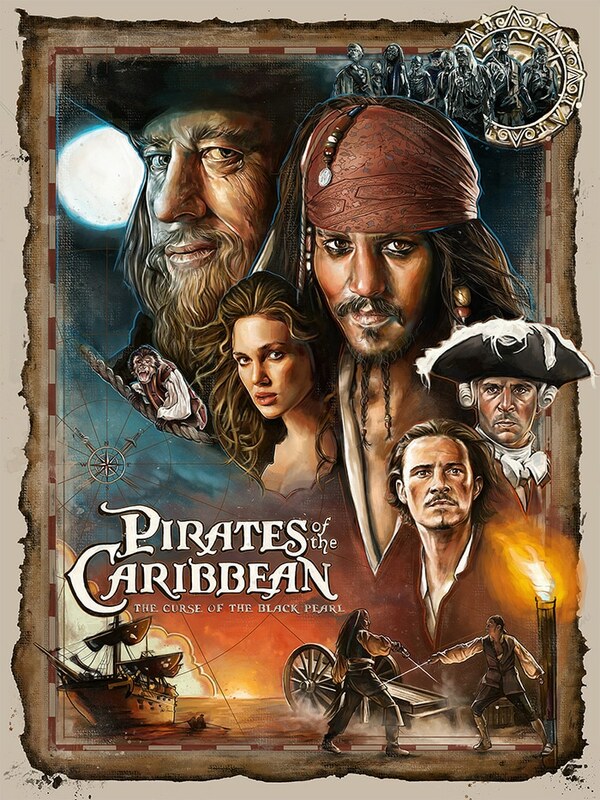 In the first part, there is a scene of Jack the monkey smiling as Barbossa says “We named our monkey Jack”. That smile is not a computer effect, but it’s totally a natural one, at least, that’s what makers say. Even he poses better than me! 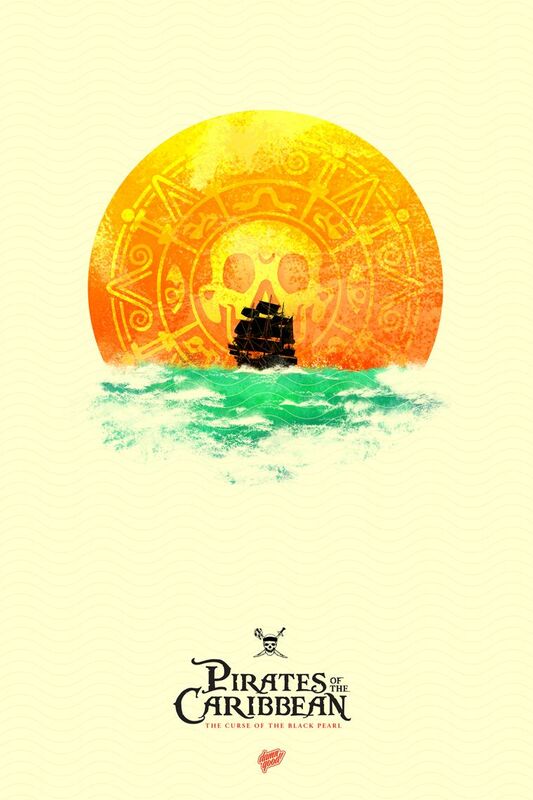 At the end of the movie, Jack is on his own now, moving towards a new adventure. 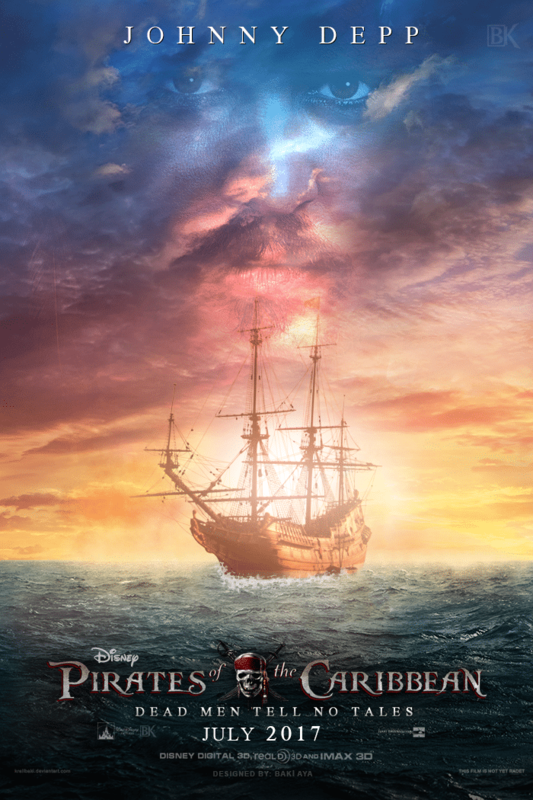 Let us move towards that adventure together, SAILING STRANGER TIDES (I don’t know why, but I can hear the soundtrack of the movie in my mind while writing that last line). 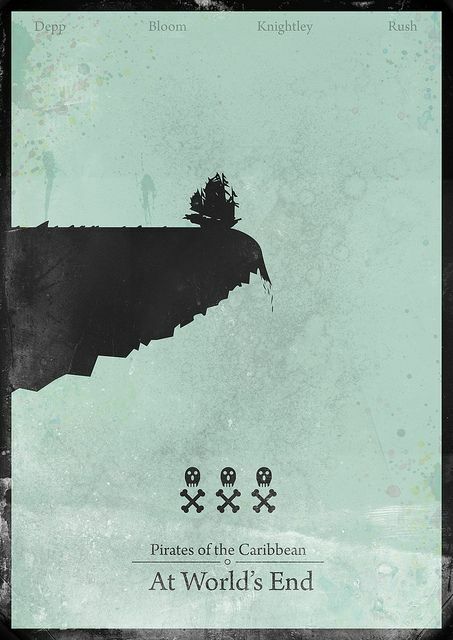 The movie was released on the 20th of May in 2011 and this was the official poster for the movie. Moreover, it was a great success for the movie, but…! 2. Someones’s Not Happy With It! I always watch movies according to Rotten Tomatoes’ rating instead of IMDB’s. But this time, both of them betrayed me. The rating of the movie is very bad in both the movies, but, believe me, you will love this movie if you have enjoyed the series so far. No, I’m not talking about the tressure in that poster but the less valuable treasure, Money! (Less, because money is not a priority for a single, and I’m single *Self Promotion*) The movie earned over 1 freaking billion dollars, and that is a second time for the series. 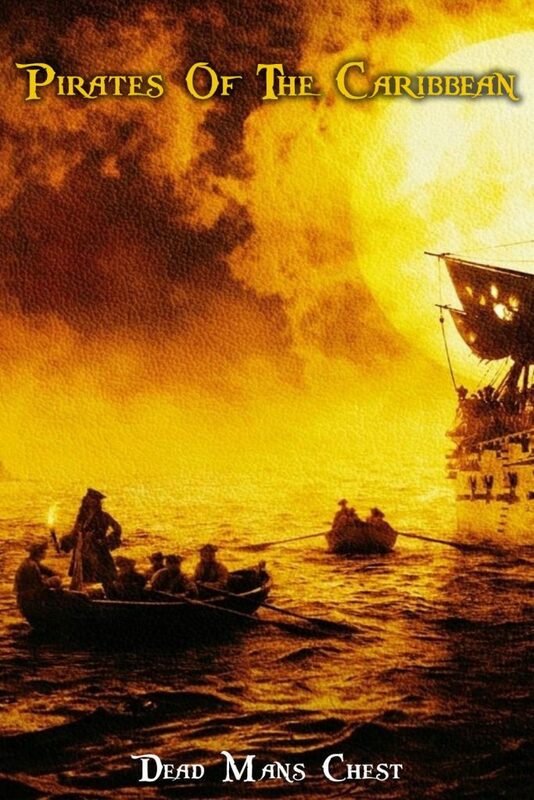 If you are like me, who only know what happens in movies, not in the world, then I must tell you that Blackbeard was a real pirate and a mysterious one. 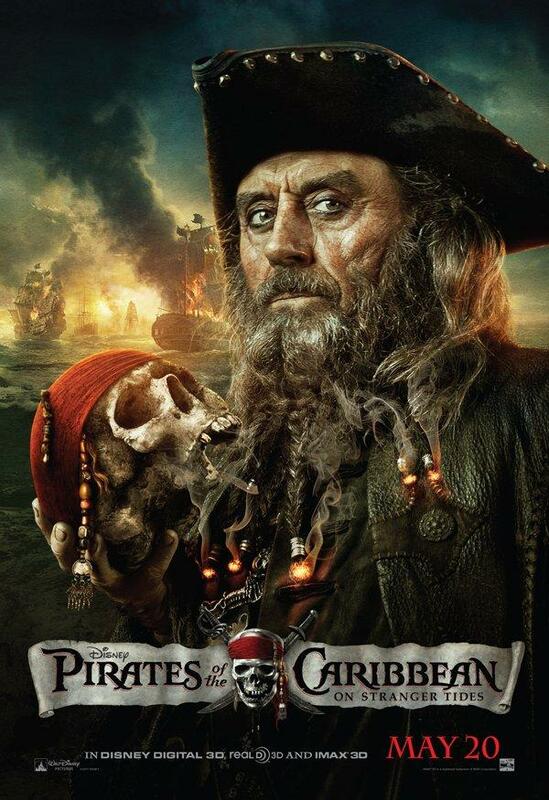 But, here, Blackbeard is the father of Jack’s ex-girlfriend. Angelica is the ex of Jack. To be honest, while watching the movie for the first time, I didn’t even realize that the main female character has changed. I thought Elizabeth is impersonating Angelica for her own good. At that age, the most important thing in the movie was action. As the name suggests, this fountain gives you your youth back. Something similar to green tea. However, there are many stories for this fountain to be real and some pirates even went on a search of it. There are two silver chalices, and two people have to drink water from Fountain Of Youth, one should contain a tear of a mermaid. 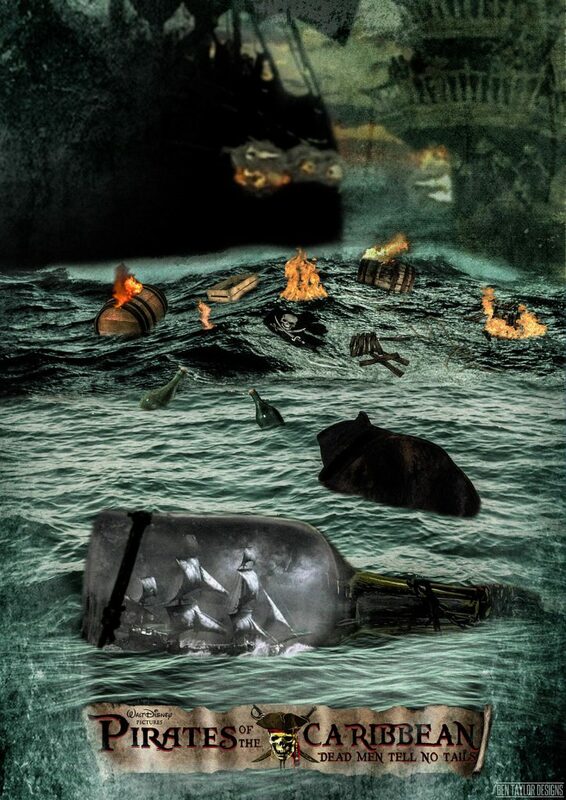 When they will drink it, the person drinking the tear will be immortal and the other one will die. To sum up, its just like we charge our phones from the power bank, power bank dies, and our phone become young again. 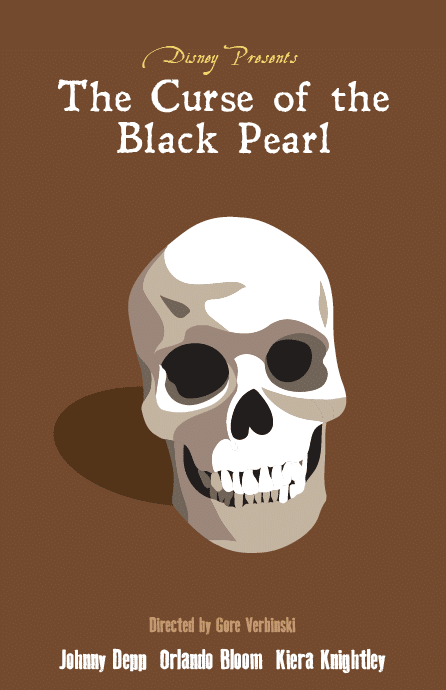 Blackbeard is the master of black magic. He can make dolls and manipulate anyone. Dolls were never good at movies! 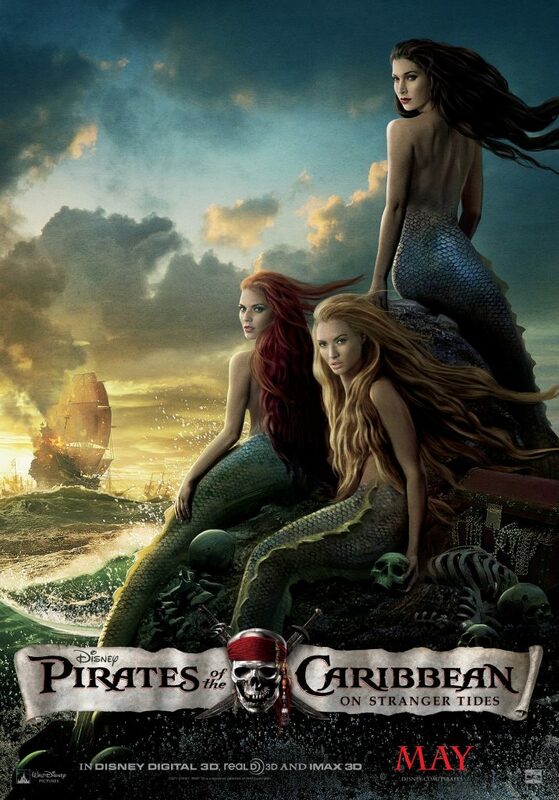 Disney has always shown mermaids to be friendly and good by heart, but this time, they have shown the other side of mermaids. 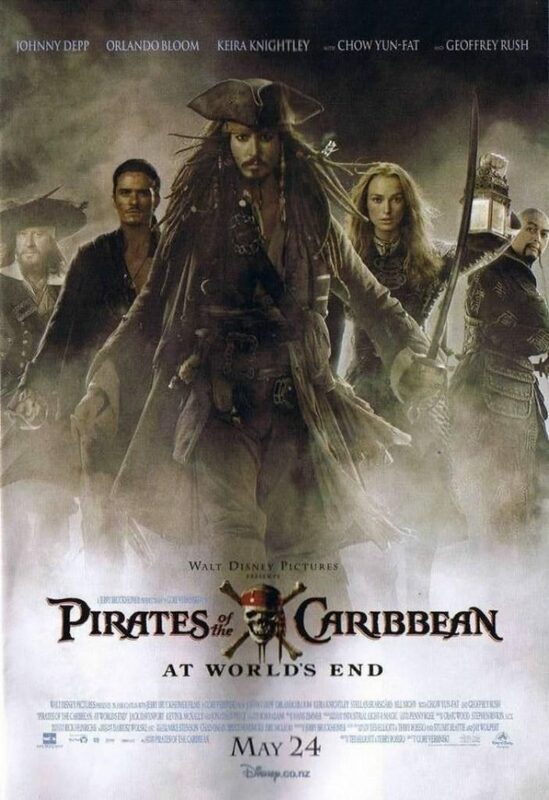 The movie ends with Jack Sparrow talking with Gibbs for Jack’s not being immortal when he had the chance. And Jacky’s answer was awesome. 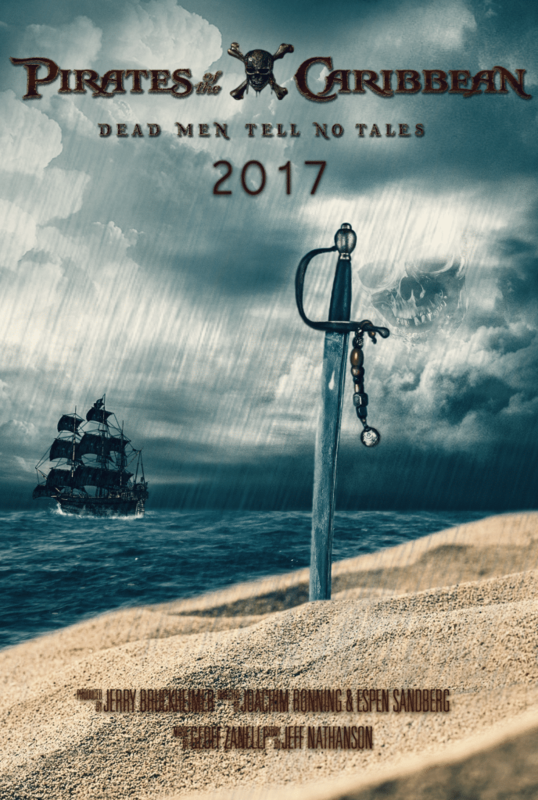 The movie was released on 26 May 2017 and its latest of them all. 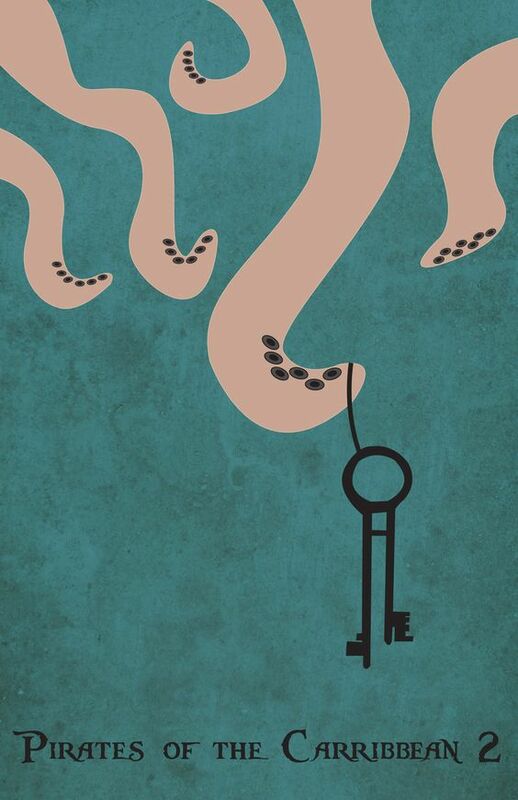 This was one of the official posters for the movie. 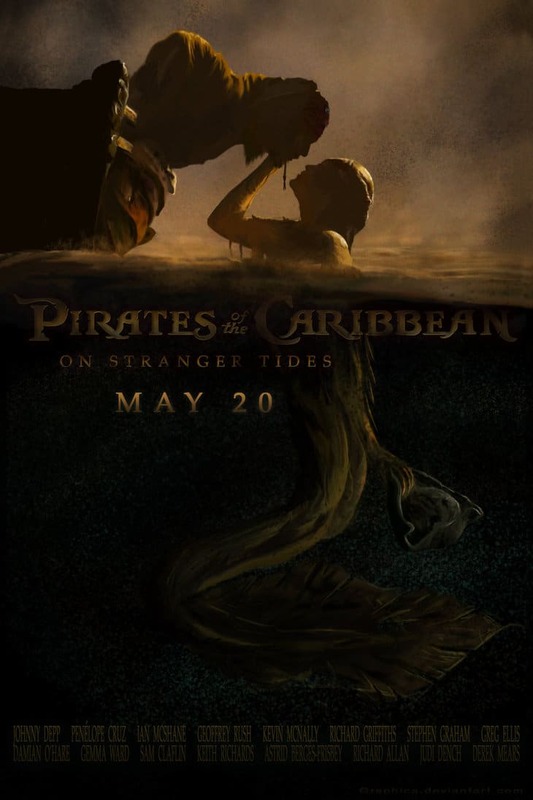 The movie is said to take place in 1751, whereas “On Stranger Tide” took place in 1750. The movie didn’t do well on box office as compared to other parts, but hey, it is 17th highest grossing movie series of all time, even after getting low ratings from all the popular platforms. The running time of the movie is the shortest among all the other parts, but they didn’t compromise with comedy and action. 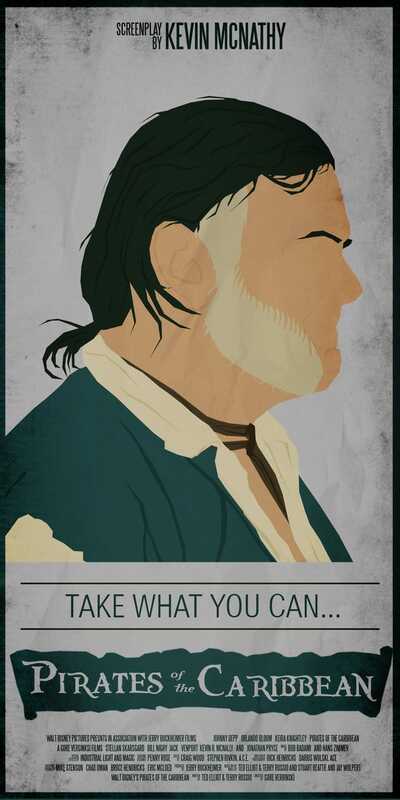 Salazar was a pirate hunter. He is the same man Jack defeated and trapped in Devil’s Triangle, at a very young age. 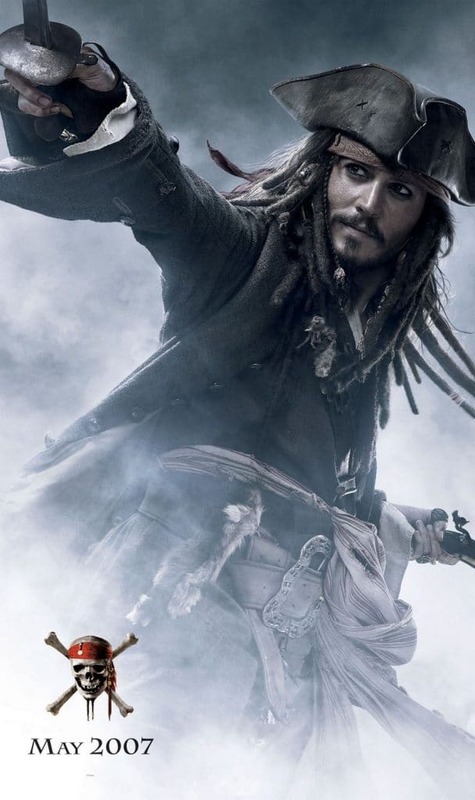 Though he is now free and coming back to the old enemy, Captain Jack Sparrow. 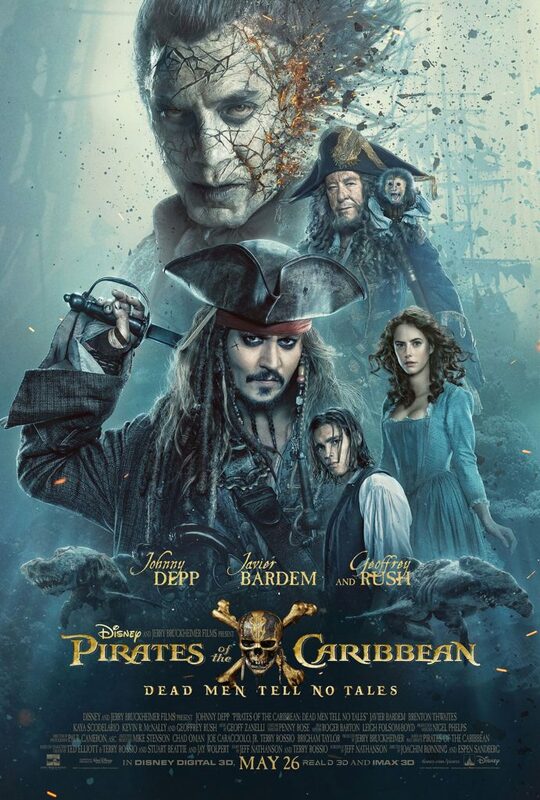 Continue reading to enjoy more amazing Pirates Of The Caribbean Poster. You must have already guessed that who is that new boy? 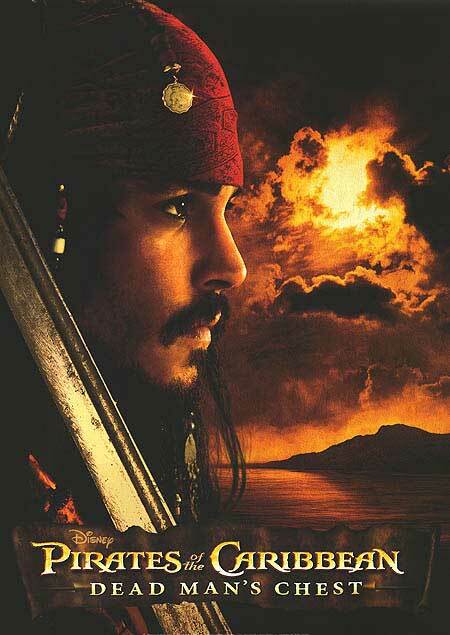 Yes, he is the son of Will Turner and Elizabeth Swann, Henry Turner. 7. The Last Part Of The Series! This movie was supposed to be the last part of the series before release. However, the sixth installment of the series was announced after the release. 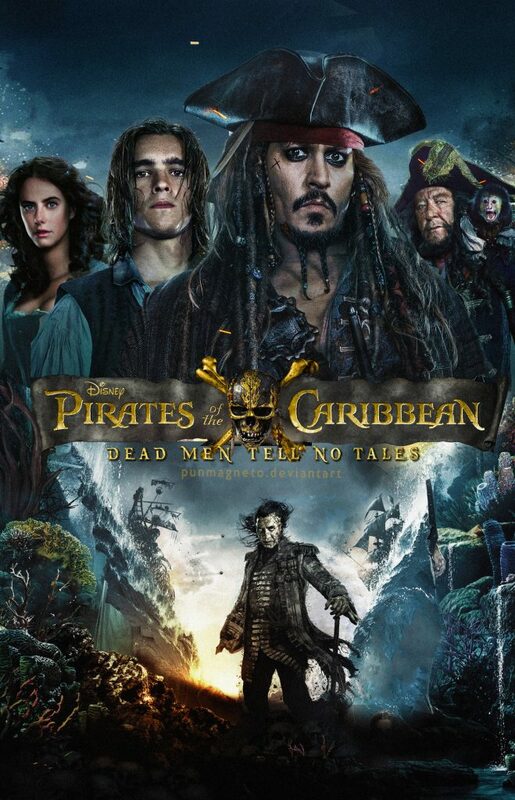 In the first part of the series, you can hear Cotton’s parrot saying “Dead men tell no tales”, when Jack and crew sail past wrecks when chasing the Black Pearl. Watch the full freaking movie, it has a surprise at the end for you. Someone is coming back. Who can it be? You will know after you watch the full movie series. The makers have not confirmed the date or title of the next part yet, but it is most likely that they are making the film and will be completing it by 2021 or 2022. Yes, our whole childhood was a lie. The real man who discovered electricity was not Benjamin but Jacky. 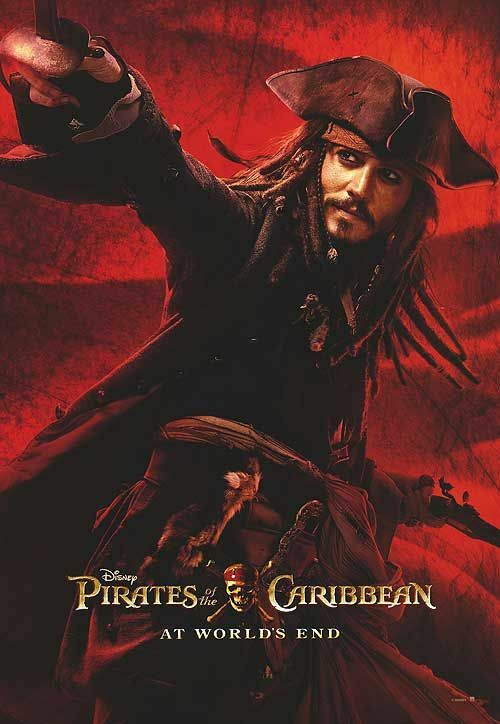 In one of the Jack Sparrow book, it was written that how Jack taught a kid named Benny, a trick with kite and key, which was later known as Benjamin’s experiment. It will not be surprise for me if I get the news that Jack was the one who invented the iPhone. 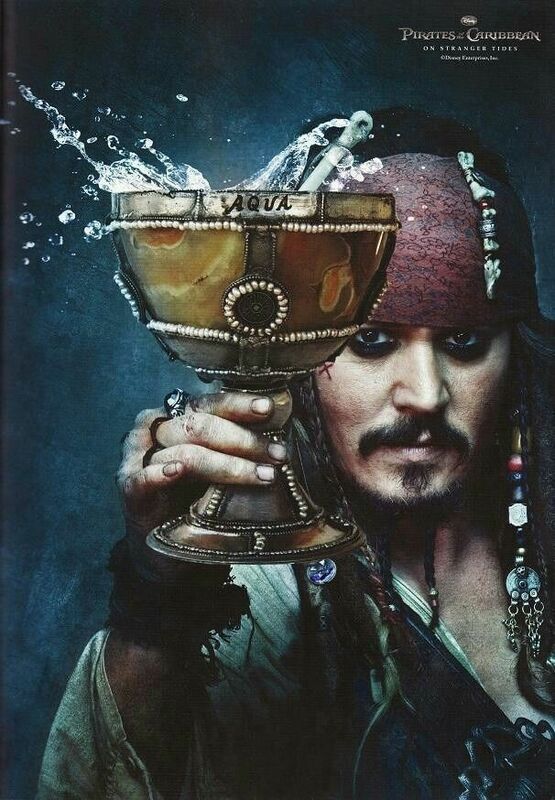 Gibbs is the first and true mate of Jack Sparrow. 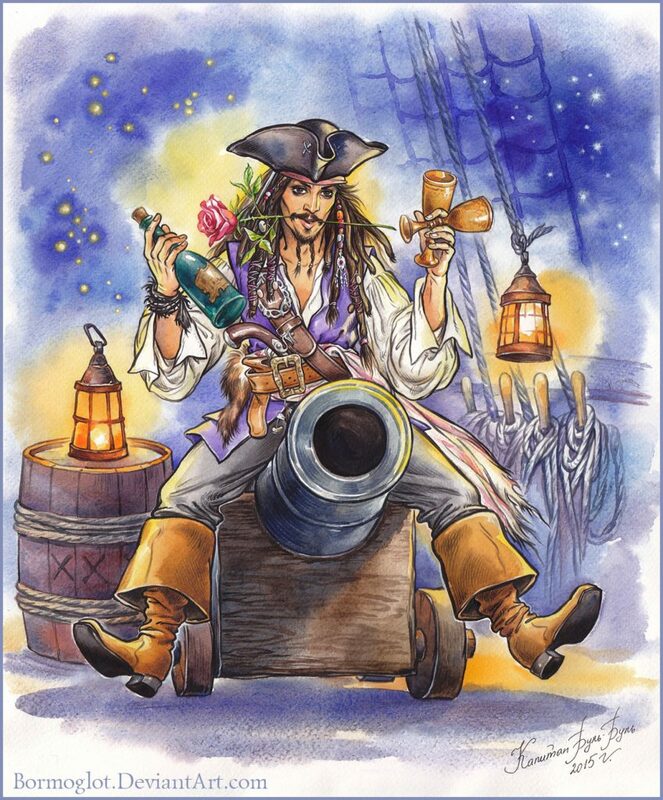 He is the most loyal person to Jacky and he is a walking encyclopedia for pirates as he knows many Pirate things. 3. The Grandmother Was A Nightmare! Jack’s grandmother was a cruel person for her grandchild. She used to torture Jack and many times she nearly killed him. Though, later, Jack ran away from there and started his new life on his own. That’s all for today. 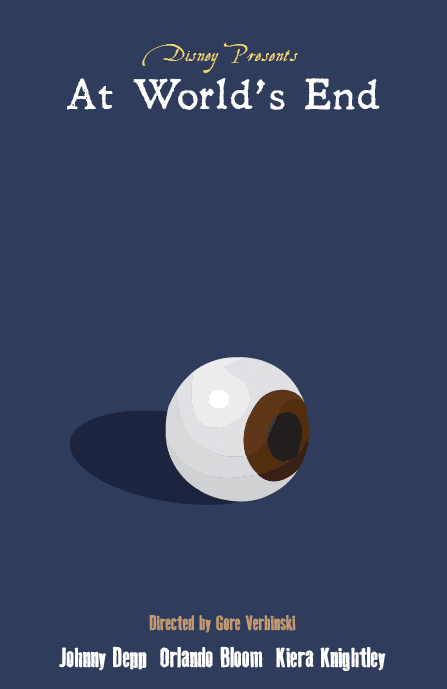 Here are some bonus posters for you. Enjoy! The movie series features all genre, say it comedy, action, drama, fantasy and a little bit of a love story too. This series is a family content, and everyone will enjoy watching it. So, definitely give it a try. Though the rating is not good, actually its bad, it’s very bad, for all the movies of the series except the first one, but if you are into action and comedy, then this one’s for you. Also, don’t find logic in the movie, because you cant. No gravity rules (maybe because it was not discovered until then), people are jumping like they are in space only. So, you may find some stupid thing in the movies, but they probably are important to entertain us. One more thing which is very important is that, bookmark this website and share this post with your friends as we bring you amazing as well as printable posters of the movies and TV series which are free and easy to download, you just have to right click (Or long-press, in case you are using a mobile phone) on an image and click “Save image”. That’s All Folks! 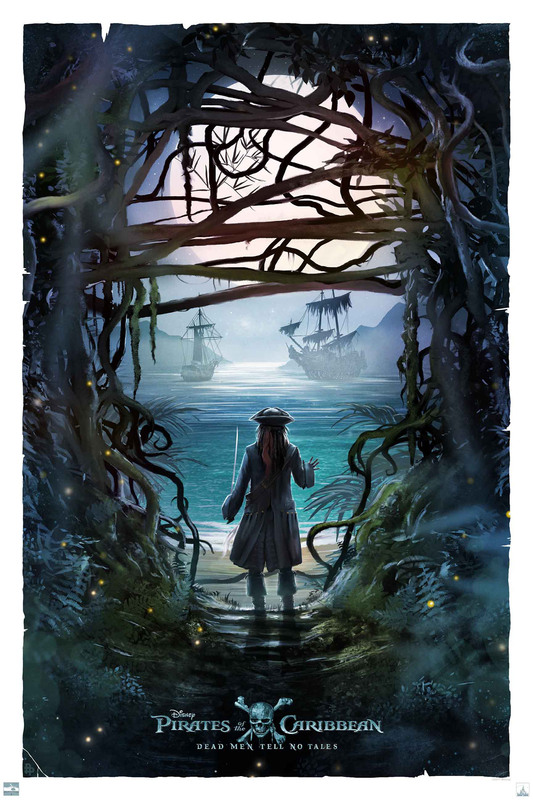 This was Pirates Of The Caribbean Poster Collection for you!